Once in November, two consecutive in January. 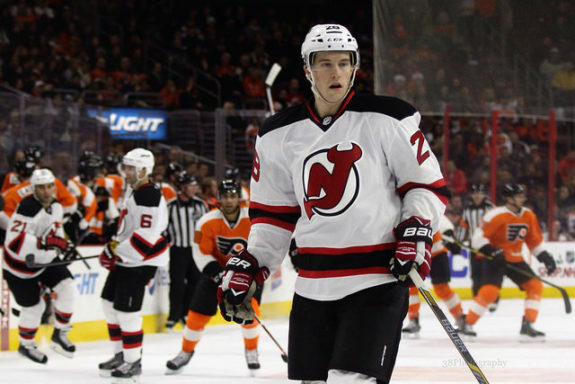 Those are the three games this season that New Jersey Devils defenseman Damon Severson was not in the lineup. But he wasn’t injured, instead, he was taken out of the lineup by the coaching staff because they weren’t happy with parts of his game. 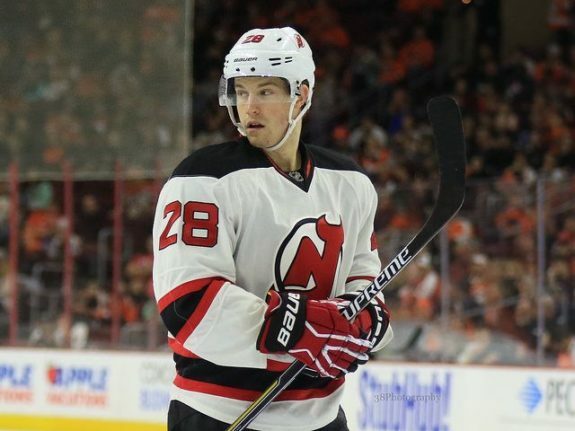 Severson is also a younger player that has really made some strides under the John Hynes regime – he’s still just 23-years-old despite being in his fourth full season in the NHL. “He’s been much more responsible; Damon is a very good player and part of his growth as a player is understanding that sometimes he can be casual. He can be casual with the puck, he can be casual defensively, and I think his attention to detail has gotten better. His competitive level has gotten better, his commitment to playing without the puck has gotten better,” Hynes told The Hockey Writers when we asked if they were happy with his recent performances. Of his nine goals and eight assists, Severson has accumulated over his 54 games this season (second among the D on the Devils), eight of those points have come over the past 17 games aka after his benching. At the beginning of this month, following a win over the Philadelphia Flyers where he had the game-tying goal in the third period he alluded to the extra work he has been doing. “(It was an) awesome pass, Pavel’s a skilled player and we’ve been waiting for a while to hook up like that. We practice little things like that after practices, passes, things we can do (during games),” Severson said of he and Pavel Zacha. “We’re great friends off the ice and it translated on the ice tonight.” The hard work is starting to pay off and most importantly the team is having a successful season as they head towards the final 25 games. 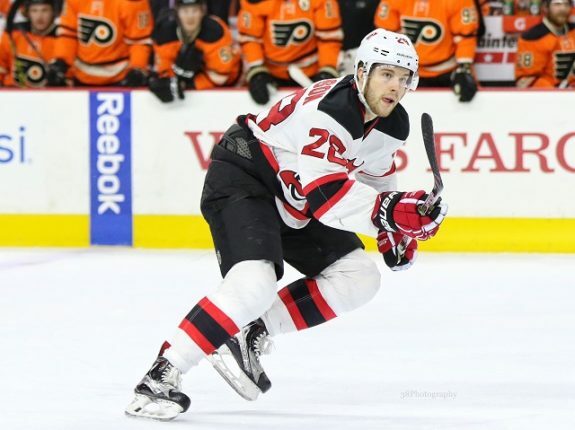 In a big game against the Carolina Hurricanes Severson provided a clutch, late first-period goal to tie the game and his point shot in the third period was deflected into the net to stretch New Jersey’s lead to 5-2, 32 seconds after they had made it 4-2. With nine goals this season he’s already matched and surpassed his career total entering the season of eight and although he’s unlikely to match his career-high in points (31, last season) he can still finish with a solid overall season if he continues to make strides while applying the pointers that the coaching staff has been giving him.